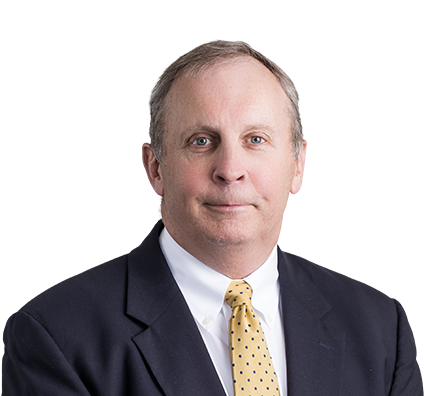 Practicing primarily in the areas of governmental relations, public finance and construction and real estate law, David provides guidance in acquisition, condemnation and land-use issues. His core counseling encompasses levee and flood control matters, with representation of public entities in the planning, financing and construction of public infrastructure and flood-control systems. David uniquely understands the legal and legislative issues surrounding levee and drainage facilities and the entities that build and manage them. For approximately 12 years, David served as the executive director for the Monarch-Chesterfield Levee District, a federal flood-control project established in 1947 that protects 4,240 acres of commercial and retail development in St. Louis County. David continues his dedication to flood protection in the region as legal counsel for the Monarch-Chesterfield Levee District, as well as for more than 30 other flood protection projects throughout the Midwest. He handles a wide variety of governmental relations, construction, public finance and real estate matters for these clients, including land acquisition and condemnation. In acknowledgment of his deep understanding of levee and flood control issues, David has spoken at gatherings for a number of prestigious groups, including the U.S. Army Corps of Engineers, the American Society of Civil Engineers, the Society of American Military Engineers, Mississippi Valley Flood Control Association (MUFCA), the Upper Mississippi, Illinois & Missouri Rivers Association (UMIMRA) and the Missouri Levee & Drainage District Association (MLDDA). Brought a lawsuit against Federal Emergency Management Agency (FEMA) to invalidate its proposed maps decertifying one of the major levee systems in the country. Led a team in representing more than 35 existing and completed flood protection construction projects valued in excess of $1 billion. For these matters, continue to be involved in every facet of the projects – working with all federal and state regulatory agencies, working with engineering firms on value engineering, and handling project cost estimates. Led a team in representing clients in numerous financings for design and construction of flood-protection systems (including tax-exempt bond issuance transactions) worth a combined total of more than $300 million. Represented levee and drainage districts on more than 50 benefit reassessments that identified under-assessed properties and in assessing atypical property that should be assessed. These reassessments generate substantial new sources of revenue for the districts, which have been used to finance flood control projects. Won numerous cases benefiting flood protection interests, including those that upheld special assessments for flood protection against the Missouri Highways and Transportation Commission. Led numerous teams acquiring right of way for large infrastructure projects representing more than 1,000 properties. David creatively combines his love of family, hunting and travel. He has taken one son hunting above the Arctic Circle and has gone bear hunting with another son in northern Saskatchewan. Among David’s most prized possessions is a set of antlers he collected from a record-setting moose in British Columbia. 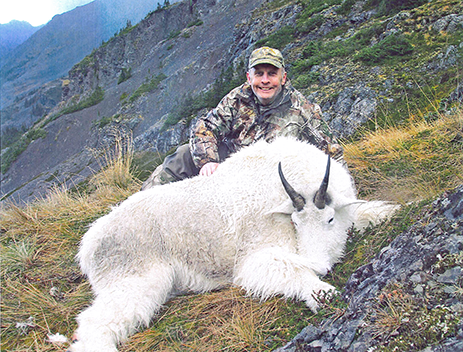 He also enjoys non-hunting trips with other family members. Among his favorite destinations are Peru, Argentina and the major cities of Europe.